Investment in plots continue to remain popular and rightly so, as land is the only asset that has increased in value by over 800% in the last 20 years. This is the reason why more people are investing in lands today whereas traditionally only very wealthy individuals, families and companies did so. A plot of land today is a key asset that can be sold or shared for future development gains, without having the need to buy land as many builders and developers do in the present scenario. The best part is that the demand for land is ever-increasing and that there is limited land on sale, which is certainly a positive point for all those who are interested in investing in plots. 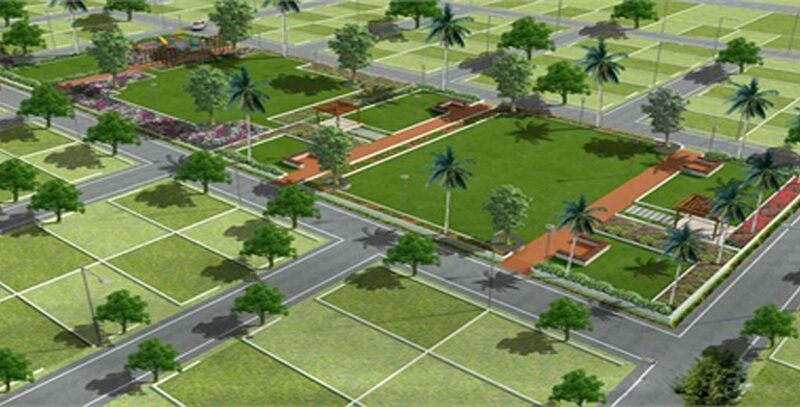 Moreover, purchasing of plots is much easier when compared to buying residential property. 1) Land is a tangible asset unlike stocks and shares; and because of constant increase in demand and limited supply, one can be sure of boosted profits. 2) Investment in land is a very simple and transparent process and is not as complicated as investment in shares and stocks. 3) While traditionally there is no rental income from plots, you can change that by leasing your land for allotment, tenant farming or parking lot, provided the location is suitable. 4) More often than not, plots have better resale value than residential properties, especially people interested in individual houses prefer to purchase land and construct their home depending on their unique taste, preferences and needs. 5) The cost of land is comparatively lower than residential properties and hence is affordable. 6) Property tax from plots is lower compared to residential properties, Not only that, you also save no maintenance in the case of plots. 7) Typically, plots do not generate rental income, and hence you need not worry about tenants. 8) Since plots are available in all sizes and in many locations. You can invest in a plot that you like and can choose to construct a home on it after a few years when you have enough money for construction.